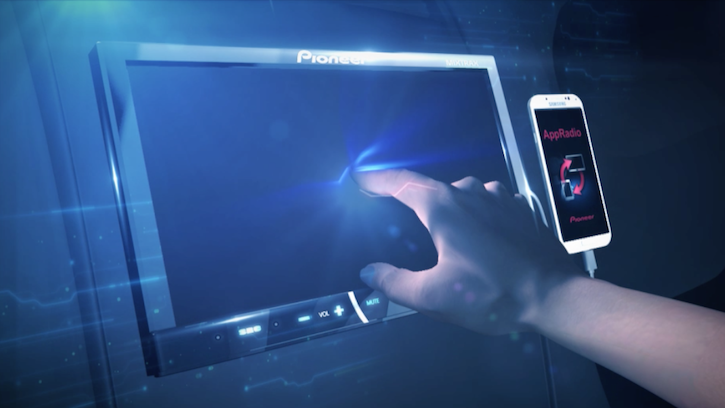 When Pioneer Electronics debuted AppRadio Mode back in 2011 (called Advanced App Mode back then) there was plenty of interest from tech enthusiasts looking to integrate their smartphones with their cars. The technology has come a long way since with the biggest improvement being the number of apps that are currently AppRadio compatible. Right now, AppRadio Mode holds the advantage over CarPlay with more than 30 third-party apps being AppRadio compatible. CarPlay has only 3 or 4 apps that are integrated. Whether that list will lengthen or not remains to be seen. Apparently Apple is very concerned about road safety issues when using CarPlay. This could be the biggest hurdle it faces in bringing third-party applications to the dashboard through CarPlay. But if Apple does decide to give developers CarPlay development abilities, it could bode trouble for AppRadio Mode. Apple, iOS and CarPlay will definitely look more appealing to developers than AppRadio Mode, which isn't as popular. This will mean less third-party apps compatible with AppRadio Mode in the future. All these permutations and combinations put Pioneer Electronics in an interesting place. They now hold the soon-to-be two most commonly used smartphone platforms in the vehicle. They can just sit back and watch how CarPlay unfolds and decide what to do with AppRadio Mode when the time comes. My money is on Apple taking the competition by the scruff of the neck and driving home the advantage by bringing relevant third party apps to CarPlay. This will eventually lead to the death of AppRadio Mode as we know it. My other guess is that sales of AppRadio 3, AppRadio 2 and AppRadio are going to decline in favor of Pioneer's NEX receivers which support CarPlay. And also, we may not see an AppRadio 4 from Pioneer Electronics anymore, unless its one that only does CarPlay. Why hasn't Pioneer released a headunit with at least a 720p display? Make an AppRadio 4 that supports Carplay over WiFi (Airplay or whatever) with a display of 720p or better and you got yourself a winner. Because you don't get the benefit of HD on a 7" screen. Most people don't watch movies that much on a 7" screen to care about HD in your car for Pioneer to spend the money to put on the unit. And a Car Play capable App Radio 4 is probably right around the same corner as the Car Play support for the NEX units. In my opinion, Pioneer should stay with App Radio 4. Appmode for Android and CarPlay for iOS. Capacitive Screen with higher resolution but this time with HD Radio instead if standard radio.